Is your heating or cooling system giving you trouble? Don’t worry. We have you covered. For years, we have been helping people in the Georgina area with our heating and cooling expertise. 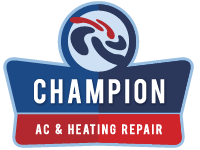 If you are looking for the most reliable furnace repair or air conditioner (AC) repair in the Georgina, ON area, look no further than Champion AC & Heating Repair. Our expert technicians are there to service your heating and cooling systems with a firm commitment to customer service. We value your trust and will make every effort to make the servicing of your furnace and air conditioning systems as pain free as possible. Have questions? Never hesitate to ask. We believe our customers should be as educated as possible about important systems that ensure their comfort on a daily basis. Have an emergency? Rely on us to respond rapidly and offer remedies so you can get back to living your busy life. We value your time and we value your money. Now we want to earn your trust. We have experienced it all. Whether you are looking for furnace repair or Air conditioner, AC repair in the Georgina, Ontario area, looking for a regular maintenance program, or are looking to upgrade and install a new energy-efficient system, our professionals have had years of experience and can give you the most current information about the products and parts available to you. We take special care to ensure that our customers have the best options for their specific needs and budgets. Make sure you extend the life of your systems with proper and regular service. Do you have fireplace or hot water heater concerns ? We also repair and replace fireplaces and hot water heaters. There is no job too big or too small for us to handle. Our commitment to your satisfaction is something we don’t take lightly. We understand that saving money may be your priority and we make every effort to find a way to work within your budget. But malfunctioning heating and cooling systems can also pose health and safety issues if not properly addressed. We will make sure you have a full scope of information and alternatives available to you and are educated about the benefits and disadvantages of each. When dealing with safety issues in a malfunctioning system, your family’s safety is our priority. When you trust us, we treat you like family. We are members of the community as well. We want you to be assured that we are giving you the best advice available so you can make decisions that impact your safety, your budget and your lifestyle. We understand that you have options when it comes to your indoor air quality and we want to be the professionals you come to year after year. When it comes to AC repair and furnace repair in the Georgina, ON area, our service is unsurpassed. We understand that a malfunctioning heating or cooling system can be confusing and, sometimes, costly. We want you to feel confident when you call us in as a trusted professional partner and we never take that for granted. We value and respect your time and your money and will make every effort to offer the most cost effective solutions possible. A minor problem can seem complicated. That’s why it is important to trust a professional. Let Champion AC & Heating Repair be your trusted professional when it comes to your indoor air comfort in the Georgina area.